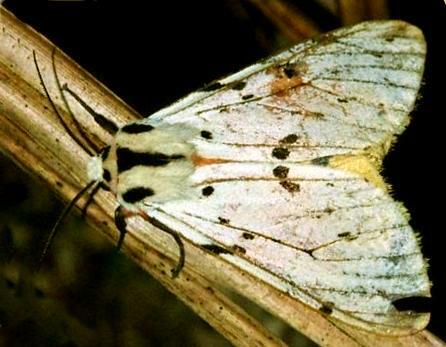 The adult moth of this species has wings that are white or pale yellow, with black spots, and with black spots on the thorax, and on the red abdomen. The wingspan is about 6 cms. Volume 51 (1940), p. 125, No. 216.